The Magic of Christmas - A Whale of a Celebration in Depoe Bay! The charming coastal community of Depoe Bay is a nationally significant historic region located on Highway 101 between Lincoln City and Newport. Visitors from all over the world are drawn to Depoe Bay to experience the incredible ocean vistas and leisure activities such as fishing, whale watching, shopping, and golf. 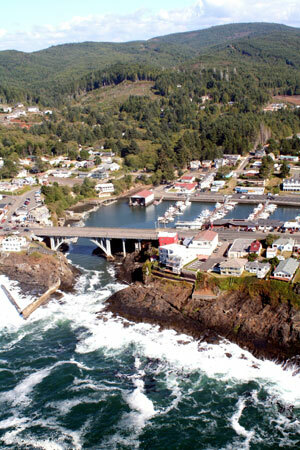 Aerial view of Depoe Bay's harbor. Depoe Bay's coastline is studded with breathtaking sights – dramatic rock formations, geyser-like spouting horns, churning whirlpools, rainbows, breath-taking sunsets, and boundless sandy beaches - which are always open to the public. A huge seawall runs the length of Depoe Bay’s downtown area, enabling visitors to shop or dine always within view of the ocean. 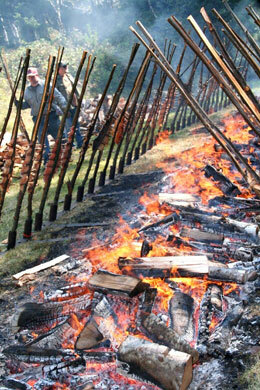 The fire line at the Annual Depoe Bay Indian-Style Salmon Bake, held the 3rd Saturday in September. 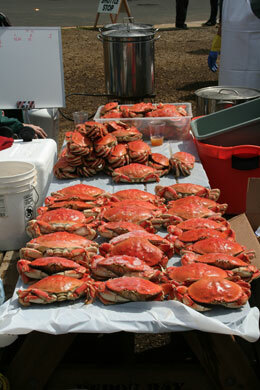 Freshly cooked Dungeness crab await customers during the annual Wooden Boat Show & Crab Feed, held the 3rd weekend in April. Depoe Bay is recognized as the "Whale Watching Capitol of the Pacific Coast," thanks to its resident pod of gray whales, who live here ten months out of the year. The town is noted for being the "Smallest Navigable Harbor in the World." 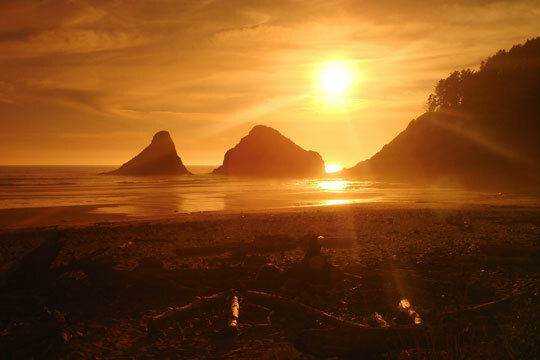 Spring and summer months teem with family fun festivities, and at many such events you will experience the bounty for which Depoe Bay is famous. Beautiful sunsets abound on the central Oregon. 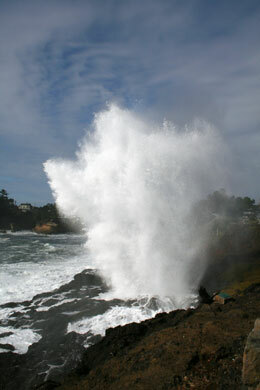 Spouting horns punctuate the seawall, shooting geyser-like plumes of seawater into the air. 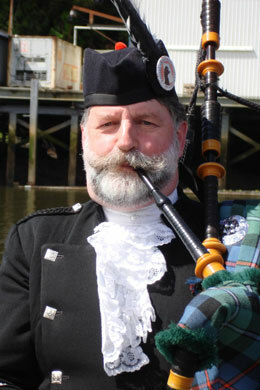 Bagpiper leads to procession at the annual Fleet of Flowers ceremony on Memorial Day. 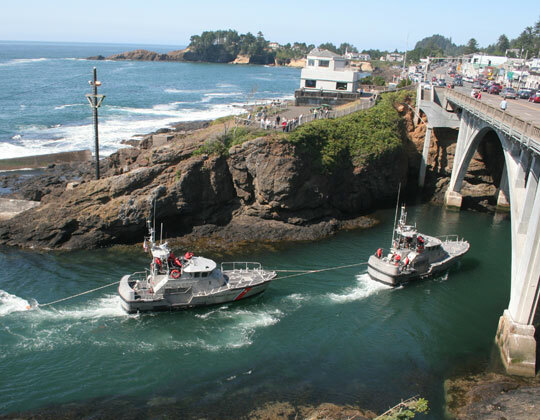 U.S. Coast Guard Station Depoe Bay get ready to "shoot the hole" while practicing training and rescue maneuvers.